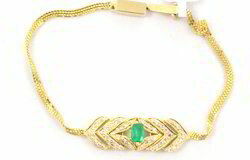 A beautiful piece made of pure Emerald Gold Bracelet and embellished with finely cut diamonds and precious red color stones looks elegant and spectacular in a woman’s wrist. We offer Yellow Gold Jewelry, Rose Gold Jewelry, White Gold Jewelry studded with natural diamond and gemstones etc. High durability, low maintenance costs and attractive patterns. 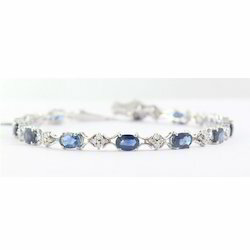 Ranked as one of the established industrial names, we are voluntarily involved in providing for our clients Blue Topaz Gemstone Bracelet with gold. Being a factory we are competitive in prices, controlled in quality & prompt in services. Also doing small or bulk quantity order is always welcome. The pricing is rational and agreeable for the customers. We are offering an enticing range of Citrine Bracelet. Our finest quality agate rings are meticulously crafted by our adroit craftsmen who keep in mind the latest designs of the rings in the market. This Sterling Silver Citrine Bracelet is developed by our team of experts using sophisticated machinery and the best quality raw material sourced from the renowned vendors of the market. 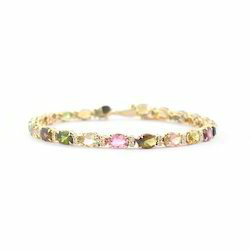 Garnet Gemstone Bracelet with yellow gold offered by us is manufactured using best available techniques and under the firm direction of experienced quality controllers. Being a factory we are competitive in prices, controlled in quality & prompt in services. Also doing small or bulk quantity order is always welcome. Furthermore, the offered diamond gajra can be easily purchased from us in several designs, sizes as well as shapes.